Cathedrals, as Dean Nicola says in her article on page 4, are sacred spaces where people can have a wide variety of experiences. 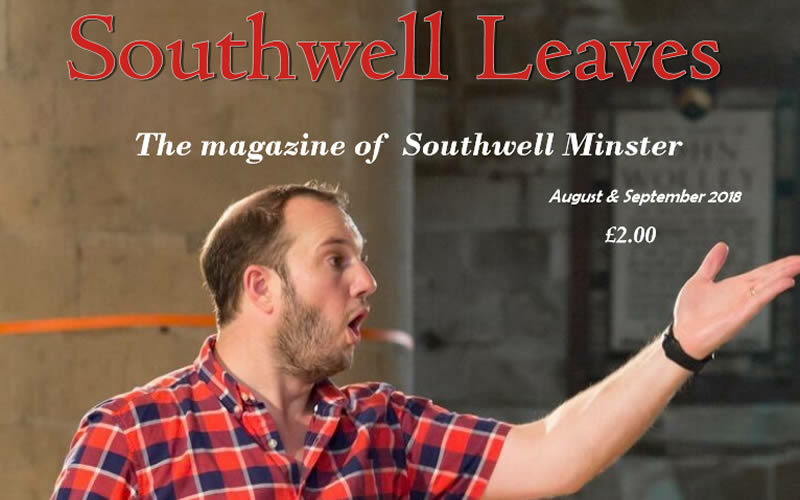 In this edition of Southwell Leaves you can read about what goes on in the building, as well as about what people inspired by the building and its faith are concerned with. The doors of the Minster are open 365 days a year, and that is a symbol of God’s hospitality. The biggest event coming up is Southwell Music Festival. It was founded by a former Minster chorister, and many events take place on Minster premises. We have an overview, an interview, a backroom view, and a letter to the editor about the Festival. Music is an integral part of a cathedral’s style of worship, so we have an article about the choir as well. Church life can feel isolated from daily living, and one of the attractions of a cathedral is that it can envelop us within its walls. So we are glad to have two articles about Christians involved in social justice, and in trying to make the world a more caring place. We also have a reflection on the pros and cons of mobile phones and the need for human interaction. Conservation is part of our agenda too, and there is a report from the Potwell Dyke conservation area which belongs to the Minster. Each edition of Southwell Leaves has included ‘Pause for Thought’ – a selection of the Thoughts for the Week that appear in the weekly pew news. This time we also include Bible verses for reflection. And the article about laying-on hands for the sick describes one of the low-key ministries that take place each month. The What’s On pages detail each of the three or four services every day that continue centuries of prayer and devotion. Education is part of the Minster’s life, and we feature the Gold Standard national award given to Time Travelling, the schools’ programme. Also, ‘Messy-Minster’ is re-launched with its Sunday services, children’s church and weekday meetings. And there are articles about the Discovery Day for adult learners, our congregation’s house-groups about the practical application of the Chapter House leaves project, and a review of books that will help people explore ‘Leavesfor Healing’ as a focus for reconciliation and justice. Printed copies are available from the Minster shop. View view currrent and back issues of Southwell Leaves online.